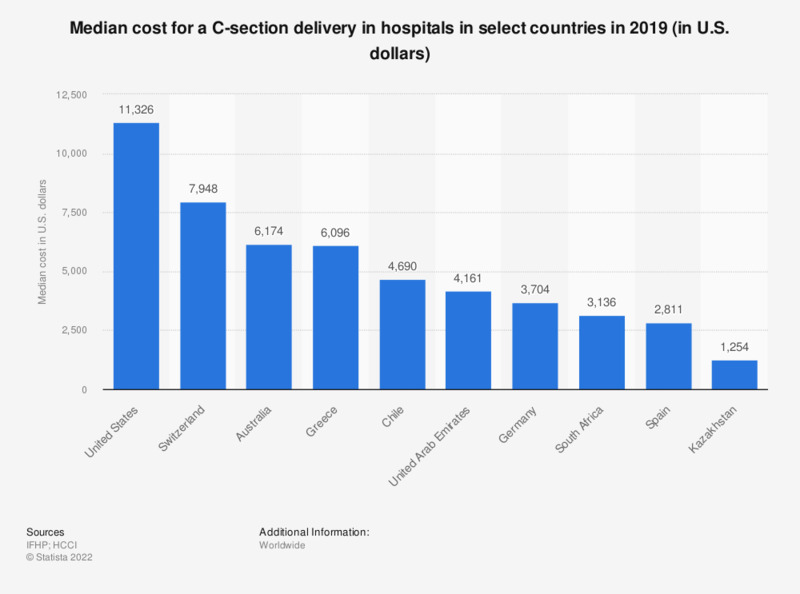 This statistic displays average hospital and physician costs for a C-section delivery in selected countries in 2015. In that year, the cost of hospital and physician for a C-section delivery averaged 7,901 U.S. dollars in Australia, while costs in the U.S. stood at an average of 16,106 U.S. dollars. Medical costs in the United States are among the highest in the world. * 25th percentile: 11,401 U.S. dollars; 95th percentile: 28,473 U.S. dollars.